Javier is quite simply, the best! We went on two tours with him and he arranged another. Hs is the best to go to Palo Verde with as is a naturalist and knows about all of the flora and fauna of Costa Rica. He stopped the van a couple of times when he spied something of interest. He picked a cashew fruit for me! One of the advantages we had was that Javier lives at the Villa Ferlito in Playa Flamingo which is where we were staying. It was super easy for us to book our trips. We will definitely use Javier again when we return to Costa Rica! We had a wonderful excursion with Javier to Palo Verde. Javier is a very considerate, knowledgeable guide and lots of fun. I highly recommend his tours. You will learn amazing things about costa rica flora and fauna, the people, anything you ask about. Enjoy! Javier is by far the best guide we have ever had. He is so knowledgeable about trees, flowers, fruits, and animals of Costa Rica. We went down the river and fed the white face monkeys. He even will help take pictures for you. After he took us to a remote local resturante for a wonderful meal. Please for your enjoyment and a great experience go with EZ Travel Adventures. I really enjoyed having Javier as our tour guide. Having Javier made each experience ten times better! He wants to make every adventure special and unique. If you don’t use him as your tour guide it won’t nearly be as fun as it should. Javier knows so much about the plants and animals that live in Costa Rica. If we every come back we will defiantly use Javier again. We stayed at the Westin and met Javiar by happenstance. There are many guides and many services but Javiar helps you not just SEE but FEEL a part of Costa Rica. We had two sets of parents each with an eighteen year old and a fourteen year old and all 8 want to return to Costa Rica because of Javiar. He started as our guide and after two excursions was a friend we will continue to keep in touch with and who we refer any and all visitors to use his tour services while in Costa Rica. My friend and I were lost in a city with motorbikes. We made so many circles around and coming to a dead end all the time. Javier saw that we were lost and went out of his way to give us directions to get back on track. Our family has been to several countries on vacation and we are always apprehensive when it comes to tours. As luck had it we met Javier and had a fantastic time. He is very knowledgeable but more important he wants you to have a great time and appreciate his country. We plan to go back and see Javier and more of Costa Rica soon. When staying around the Westin make it a point to call Javier. We were recently introduced to Javier and his company’s services. We’ve now used him twice and he has been over the top fantastic! Javier is super friendly, extremely accommodating, and knowledgeable. His years of experience ensure that he knows the best places to go, the best places to avoid and he stick handles all the details. He also seems to know EVERYONE which can be a big help too. Bottom line is that we trust Javier and also have a great time touring with him. I highly recommend him to anyone visiting Guanacaste. 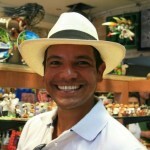 Javier is your man if you want to tour costa rica. He is simply THE BEST!!! We were always two steps ahead of the other tours. Javier will have you doing things the other tours will miss because he is there for you and he wants to create great memories! My friends are blown away when they see pics/videos of our times with Javier. You will love this guy guaranteed!!! I absolutely recommend Javier for any of your travel needs. I used him for a transport to San Jose Airport and the trip was great. I don’t know my way around Costa very well but I know he took the most direct route to get us to the airport. The ride was several hours but with Javier it felt like a few minutes. He makes your travels safe and comfortable. He provided us with bottled water and gingerale in a comfortable, clean, airconditioned van. I have all good things to say about him! Although my encounter with him was short I know he is an extremely reliable person. Thank you Javier for a safe journey! I wish you all the best with your company! You can’t go wrong with him, I highly recommend Javier for any of your travel needs in Costa Rica! Pura vida! My husband and I spent our entire honeymoon with Javier and I wouldn’t have had it any other way. Both of us are adventure seekers who need to be active on vacations and we definitely didn’t stop the whole time! We started off going straight to a volcano right from the airport, and there was never a dull moment from there. We spent two nights in Arenal – exploring, ziplining, visiting with our hotel’s jungle cat zoo and one night in Monteverde – hiking through the cloud rainforest, picking coffee berries and learning all there is to know about making coffee, chocolate, and sugarcane. Our last full day we spent snorkeling off a caterman during sunset – such a great way to end the trip! Thank you Javier for making our honeymoon unforgettable! We can’t wait to come back!! Our trip experience with Javier was everything we thought it would be and more. We heard about his services through a friend and decided to book him for a weekend during our vacation to Costa Rica. Through the beginning of the booking process, he was beyond flexible and worked with us (e.g. coordinating a place to meet, etc.) to meet our expectations. We toured the Arenal and Rincon de la Vieja regions and stopped at various points along the way. He arranged zip lining, water rafting and spa experiences (volcanic mud baths and hot springs) at a local adventure park where he took photos and videos of us so we could enjoy the day and have keepsakes that will last a lifetime. I didn’t know this at the time, but Javier took the time to coordinate with my now fiance’ in terms of picking the most perfect spot to propose. He captured the entire proposal on video and also took a slew of photos, which are beyond priceless to us! What makes Javier great is not only his seemingly limitless knowledge of Costa Rica and its hidden gems, but his big heart that made us feel that we were with a friend rather than a hired guide. 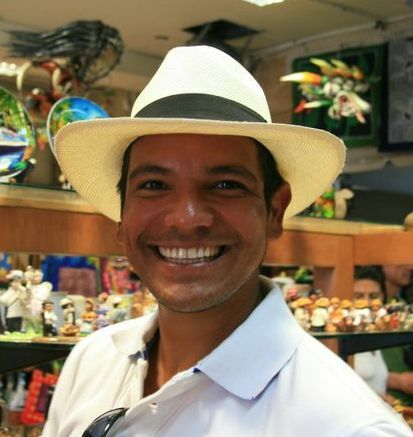 If you want a personable, safe and authentic Costa Rican experience, look no further- Javier is the guide for you. I promise you will have no regrets! Our family had an incredible time with lovingcostarica! I cannot express how grateful we were to have Javier as our guide. He has incredible enthusiasm, knowledge, and a strong desire to make your day special. We are a family of four (including two teenagers) and Javier was able to communicate and bring out the excitement in us all despite our different needs. He is an ambassador for the country and willingly answered all our questions in great detail. I felt I was able to learn more from him in single day than from any other source. It is really special to have native Costa Rican talk with such love and kindness. We had a wonderful day in the volcanic region and in the Palo Verda park. Highly reccomeded!! 8. Knows a lot about wildlife. 7. Loves demonstrations like turning leaves into different colors. 6. Great adventures such as boat rides and volcano expeditions. 5. Gets you away from the crowds! 4. High quality van with comfy seats and good drinks. 3. Great photographer, especially around waterfalls. The Número UNO Reason to hire Javi . . .
We were in costa rica for a week in dec 2012. We ended up with this company and Javier completely by accident, much to our good fortune. We went on the volcano trip and i never felt more comfortable and safe as i did with Javier. He knows all the local people and places. The tour was absolutely wonderful and Javier has a very intimite knowledge of his own counrty and enviornment. He is a complete gentleman and i would highly recommend using this company over any of the others as it is a small business that is run efficiently and competently. I called Javier at the last minute hoping to set up a boat tour with him but, unfotunately, he was booked. However, he still spent time on the phone with me recommending a hotel in Liberia to stay at, various tour options available in the park and the best ones for the time of year, and gave me the numbers of two other tour guides to try. He also said to call him back if I ran into any other problems. I have no doubt his tour would be fantastic. Pura Vida, Javier! Just got back from Palo Verde with friends who were going for their first time. Another fantastic experience. The lunch venue has grown from one table last year to a darling little establishment with excellent food! Javier and his boat driver provide a fantastic river tour with only your personal party…a boat that holds 40 with only five people aboard is perfect for attracting the white faced monkeys. The number of birds, iguanas and other wild life is amazing…and oc course, one of the hugest crocs, Solomon is an amazing specimen. Like I said in a previous post, Javier is the best! What an ubelievable experience!!!! We booked Javier for the first day and kept him all week or ar least what we could get of his time. His knowlege of everything about Costa Rica is amazing. He was so great with the kids. He even has a new President of his fan club. We went for a wedding and he was so accomodating to our group of 17. It really felt as if he went out of his way to make sure we experienced Costa Rica in only the way that we all fell in love with the country.mmthe is not enough we can say about Javier. You would be crazy not to book with him. And if he can not do your trip his recommendation will be almost as good as he is! Thank you thank you and Tres thanks you. Because of you, it made departing so hard but returning will be so easy! The kids missed you the second the plane took off. Your President Maeve said Javier is going to miss us. I miss him so much already! I just got back from a trip to the Palo Verde National Park, Tempisque River Tour with Javier. He was an amazing guide (naturalist), extensive knowledge of wildlife, flora/fauna and Costa Rica in general. He brought everything to life for us, even stopping his vehicle enroute multiple times to show us things that otherwise would have gone unnoticed. After the river portion of our journey, we stopped at a secret local spot for an amazing meal in Guaitil, where we cleaned the plates of traditional foods and had a chance to see local pottery being made without being thrust into an area with 100 other tourists. I come from a background in the travel industry, having traveled to over 80 countries, with multiple visits to many wildlife areas including the Amazon, Alaska, Nepal, Australia, East Africa and Southern Africa and this was my 6th trip to Costa Rica, including my second trip to Palo Verdes NP. I know enough about animal behavior to know that animals are on the move in the morning… when they are hungry and when it’s not so hot. We were the ONLY boat on the river the entire morning, until we were pulling back up to the dock at the end and about 12 other vehicles were just arriving. Not only was it great to be able to see so much wildlife, but being on the river with no one else provided for a very peaceful experience in nature, without being drowned out by other boat motors and groups of people. So when Javier tells you that your trip is starting at the crack o’dawn, just know that he knows what he’s doing… and you will be thankful that you got up early! BTW… The last time I did the river trip was about 10 years ago… I went mid-day, with a boring guide… and I wanted to jump overboard with the crocs and swim back to shore just to save myself. If it was just me on this trip to CR, I would have never considered rebooking another river trip based on that prior experience… but since this was a multi-generational trip celebrating a 50th Anniversary, I thought it was a trip that could suit my 4yo daughter and parents in their 70s. Javier succeeded in winning me back to the river, and everyone in our group was successfully entertained and engaged the entire day! I am in no way “connected” to Javier… I only found him by reading the numerous reviews on Trip Advisor from other folks who have hired his services. Getting a good entertaining guide was very important to me (I didn’t want the family to be bored like my first experience), and getting on the river early in the morning was also important to me in choosing someone. He is exactly how others describe, just an incredible guide that you want to spend the rest of your trip with… and you instantly want to take him back home with you. His prices are much lower than others (especially the tour desks at hotels! ), you book directly with Javier, he’s the one that communicates with you (and he’s very good at responding to any question, or a 100 in my case), and he is your guide/naturalist… there’s no other middle man in his operation that drives up the price. Trust me, I did enough research in planning this trip! Javier does not disappoint… just wish that every guide had the same knowledge, professionalism and passion that we experienced with him. We did the Palo Verde River Tour with Javier. Hands down, he is the best travel guide ever! He is friendly, knowledgable, communicates with ease and has a great sense of humor. We went to Costa Rica as a family and he took all 9 of us on the tour. He was able to converse easily with all of us from age 5 to age 69! The tour goes by so quickly because he keeps everyone entertained with his informative talk and banter. His boat driver, Louis, is excellent with the crocodiles also! I highly recommend Javier. He is the best! Wonderful river boat cruise! Many birds, crocodiles, monkeys eating out of our hands, all of it amazing!!! Javier is great—very knowledgeable, so nice and goes out of his way to make sure all questions are answered and everyone is comfortable. Really enjoyed the local lunch and tour, plus the parrot and coffee! Can’t recommend Javier and this tour enough! We spent a week in Costa Rica in March 2015 and were put in touch with Javier by someone who sat beside one of our party on the plane. He said, “Javier’s the best,” and was he ever right. It was serendipity. Javier took 10 of us on a wildlife cruise on the Tempisque River. It was well worth the 5 a.m. departure time, because he knows when the wildlife is most active. Crocodiles, macaws, white faced monkeys. He is so knowledgeable, and his outgoing and gregarious personality make it fun. It was the highlight of our trip. Javier was wonderful. He is a very hard working one man band. He is a full service guide who can get you or show you whatever you want. We used his door to door service three times and every day was very enjoyable. I had recent knee replacements and he was able to tailor trips to my limitations. He is very knowledgeable about the animals and vegetation. As others have mentioned his 5am Palo Verde trip was a highlight of our trip. We had the entire river to ourselves with overwhelming wildlife experiences. We were done before the other tours arrived. He is very outgoing and a lot of fun to spend the day with. We even hired him to drive us to San Jose. You can’t go wrong if you choose Javier but book early as he is so popular that he will have few openings in season. We agree wholeheartedly with all the superlative comments above. We spend a day with Javier on Paolo Verde tour on the Tempisque River and surrounding area, and his knowledge of fauna, flora, history and culture is unsurpassed. He is a deeply experienced naturalist, has a wonderful sense of humor, a generous and outgoing nature, and clearly loves his work. It was critical to be up early ahead of all the other boats, as the early hour is the time to see wildlife on the move, as we discovered; we felt privileged to have seen crocodiles, Capuchin monkeys and numerous varieties of birds. He gave us an absolutely memorable experience that we will long remember. 5 Star plus rating for Javier!! Javier is the best guide we have ever used! He absolutely LOVES Costa Rica and his passion for sharing the beauty of CR makes his tours fascinating and fun! He is extremely knowledgeable about wildlife, plants and geography and like a great teacher can communicate his knowledge to his clients in a simple and engaging manner. We first meet him in 2015 as part of a group of ten adults for a river tour of the Tarcoles River, zip-lining and white water rafting. He was great with the group, surprising us with side trips to see white faced monkeys and hard to find beaches in addition to coordinating our transport to/from the airport. We enjoyed Javier so much that we brought our three children (ages 8 and 10 years) back for our 2016 Spring Break and he did not disappoint. His energetic, well organized planning resulted in three wonderful days full of great family memories. Each day we left our hotel early, but it paid off as we were the only people on the river, rafting, or hiking to a waterfall, etc. Javier knows all the locals and took us off the beaten path, including some great local places to eat. He is professional, organized, and focuses on safety to ensure his clients enjoy the experience. He strived to make each of our days a special experience and he succeeded! We can’t say enough and our kids constantly ask when we can go back. Javier is highly recommended! You can’t go wrong, so hurry up and book him! July 16th the Texas 14 arrived in Costa Rica. We booked two tours with Javier in advance and added one more after the two days with him. Javier had everything set up for us. He transported 14 of us to the life changing experiences we will never forget! He by far exceeded any expectation we ever had or could have ever thought of. The environment and experience Javier and his company, LovingCostaRica.com, provided allowed us to view our lives through a different lens and it has been life changing for us. The power of large family and friends allowed us the ability to step outside our comfort zones and accomplish challenges that would have been more difficult and less enjoyable if conquered alone. We took the river tour, the adventure tour and a fishing trip. The food we experienced and the people were amazing. I also wanted to mention how great he was with our 7 children. He took charge and kept them in line. Our oldest daughter has Down Syndrome and Javier was by her side most of the adventure. He was her zip lining buddy. I guarantee you will not find a better tour guide out there. Thank you for your extraordinary friendship, hospitality, and love for life you shared with us. We look forward to our return to Costa Rica in the near future. In the meantime Pura Vida!!! We spent two days with Javier. He planned the days so that we were ahead of the crowds and were able to have each experience all to ourselves. He’s very knowledgable and taught us about the plants and animals we saw and the culture and history of Costa Rica. It’s impossible to not have fun with Javier! He has a zest for life, a great sense of humor and is very accommodating. I can’t wait to go back and on more excursions with him! We spent a week with Javier in Costa Rica this summer! We had a fabulous family vacation thanks to Javier. Our three boys, ages 15, 14 and 9 LOVED Javier! Javier was so knowledgable, personable, engaging and adventurous. He took care of every detail enabling my husband and I to sit back, relax and enjoy the trip. We visited Miravalles Volcano, Palo Verde National Park, and the Adventure Park with Javier. We also had a fishing day organized by Javier and spend a day on the beach with him complete with Jet Skis, paddle boards and snorkeling. Javier really bonded with our family and alway went the extra mile to ensure that we got the most out of our excursions. We are looking forwarding to visiting Costa Rica and Javier again! Best guide ever! We’ve used a lot of private guides in our travels but Javier is tops! His enthusiasm for the area is contagious. We learned so much about the plants and animals of the area. I was traveling with my 81 yo mom, and Javier was always attentive and thoughtful about her comfort. We are eager to return to Costa Rica to book him again. This guy is truly amazing our family used him for a one day tour. His Knowledge of area is outstanding and he truly is passionate about his country. We don’t have wild monkeys in Australia and couldn’t get enough of them so he had monkey lady number 2 lol in his phone, where the monkeys go in the afternoon. He keeps you away and one step ahead of the crowds. We went on the eco-boat tour with Javier yesterday-and it will was definitely the best part of our trip! Yes, we had to get up and be ready to go at 5 AM, but Javier was right – the river was empty, no other tour boats, no mosquitoes, and all the animals had just woken up and were lively and everywhere! We saw the famous and rare Scarlet Macaw (tending to their baby! ), and monkeys came right into our boat and sat on our shoulders. We saw tons of Iguanas, Crocodiles, Howling Monkeys (so loud! ), and lots of different kind of birds. It was just a lovely tour. Then he took us to a secret spot where they made us a real Costa Rican lunch-which is the best thing I have ever eaten! And we got to see some local pottery being made, and were able to purchase beautiful items. And the whole time Javier was lively and fun and always pointing out unusual things, like we got to see a cashew nut off a tree-which I never knew was actually a big fruit and then the nut hangs at the bottom-it was just fascinating. Then when we were all done around 11 and leaving, just as it was getting super hot, all the mosquitoes were coming out, and all the animals were were done eating breakfast and hiding because it was so hot – all the other tour boats were just heading out! Javier just made the whole thing wonderful! Definitely a memory to last a lifetime. Javier is one of the best guides you will ever meet. If you have an opportunity to book an excursion with him (Book early he is often reserved months in advance), you will certainly not be disappointed. Our group of 15 had the pleasure of spending a full day with this personable, informative and energetic guy over March break. It was the highlight of the trip for most us. An early start set the tone for a full day of exciting learning adventures. Javier provided excellent colour and interpretation during the pleasant drive to Palo Verde National Park, with a planned stop for a quick fresh-baked breakfast at a local bakery (Pineapple Strudel 10/10… who knew) and several impromptu sightings of various birds and animals along the way. The river boat tour Javier recommended was nothing short of spectacular. Javier had the entire group rapt with his encyclopedic knowledge of flora and fauna as we enjoyed a leisurely cruise up and down the Tempique River. We saw Iguanas, Crocodiles, White Faced Monkeys (Actually came on the boat with us for a while), and many varieties of birds, insects, and trees. This experience was very important for our family as we wanted the kids to get a chance to see some Central American wildlife up close without any of the inherent dangers of traveling unguided in the Costa Rican wilderness. With Javier, we felt safe and we learned more than we could have in weeks of reading guide books. On the way back to the hotel we stopped at a farm where we ate a traditional, and incredibly delicious, Costa Rican farm style lunch. After perusing the home made pottery, watching (and tasting) a sugar cane demonstration, and playing with turtles it was time to head back to the hotel. reluctant goodbyes soon turned into plotting ways that we might be able to see him again. We can’t say enough good things about this guy… warm, friendly, charismatic, funny, informative… If you are going to Costa Rica and you would like to experience the warmth, adventure, and natural beauty of the place without worrying about ANY of the details, you need to take a trip with Javier.